It is with humble acceptance of God’s will that we announce the passing of Ms. Evalyne Kiaria Kubai of Dagoretti Corner/ Ongata Rongai which occurred on 18th April 2018 after a short illness bravely fought. 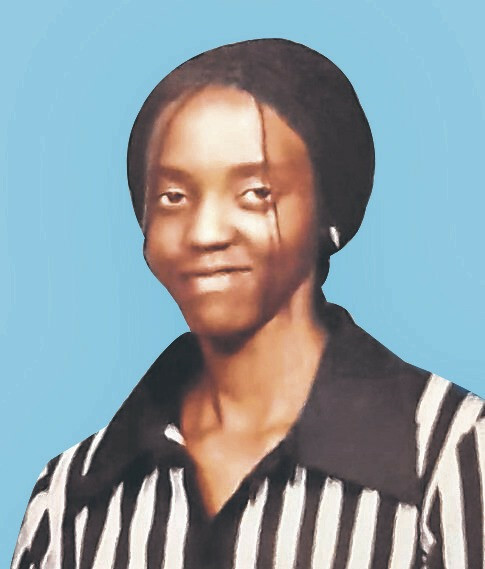 Mother of the late Jean Kanini. Daughter of Mr. Isaiah Kubai (BIFU/COTU) and Martha Karimi. Sister of Judith Kaimuri (BIFU), Pauline Mukiri (Kenya Re), Ben Muriithi (Crown Healthcare) and Freedom Mwari (State Law Office). Granddaughter of Isaac M’Ananga and the late Rebekah Kooru and the Late Mitu and Late Martha Kamwithu. Auntie of Keisha Mwendwa and Kent Muthomi. Niece and cousin of many. Friends and family are meeting at her parent’s home in Ongata Rongai, Kajiado County and at Tumaini House (behind Kencom) in room 6B from 20th, 23rd to 25th April. The cortege will leave KNH private mortuary on Saturday, 28th April 2018 to be laid to rest at her parents rural home at Auki village, Maua, Meru County.